From 2016/17 the Premier League Cup replaced the Under-21 Premier League Cup, which was introduced in 2013/14 to enhance the competitiveness of the Professional Development Phase calendar with knockout football alongside the regular league campaign. Group stage The tournament will be split into eight groups of four clubs, with each team playing their opposing clubs home and away. The top two teams advance to the knockout stage. Knockout stage The last 16, quarter-finals, semi-finals and final will all be one-off knockout ties. If the ties are level after 90 minutes, they go to extra-time and then penalties if the teams still can't be separated. 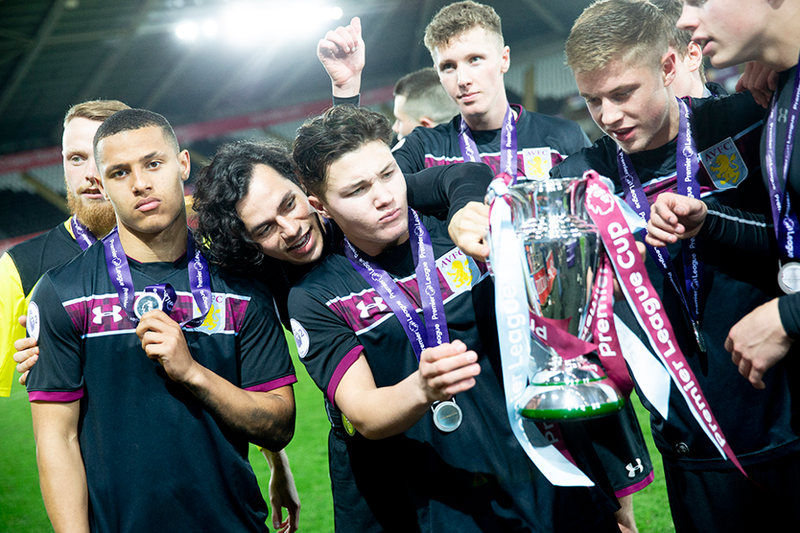 Aston Villa (pictured at the top of the page) won the 2017/18 Premier League Cup with a 4-1 penalty shoot-out victory over defending champions Swansea City at the Liberty Stadium. The final was goalless after extra-time. Swansea (pictured above) claimed the 2016/17 trophy with a 2-0 win over Reading at the Welsh club's home ground. West Ham United defeated Hull City in a penalty shoot-out after a 1-1 aggregate draw in the 2015/16 final. After Djair Parfitt-Williams gave West Ham a 1-0 victory in front of over 10,000 fans in the first leg at the Boleyn Ground, Will Annan levelled the tie in stoppage-time at Hull's KC Stadium, before goalkeeper Raphael Spiegel was the hero for the visiting Hammers. West Ham’s Premier League Cup success followed the 2014/15 triumph by Southampton, in front of over 12,000 spectators at St Mary's Stadium for their second leg victory against Blackburn Rovers. Reading won the inaugural competition in 2013/14.